The main floor layout includes mainly children's books. 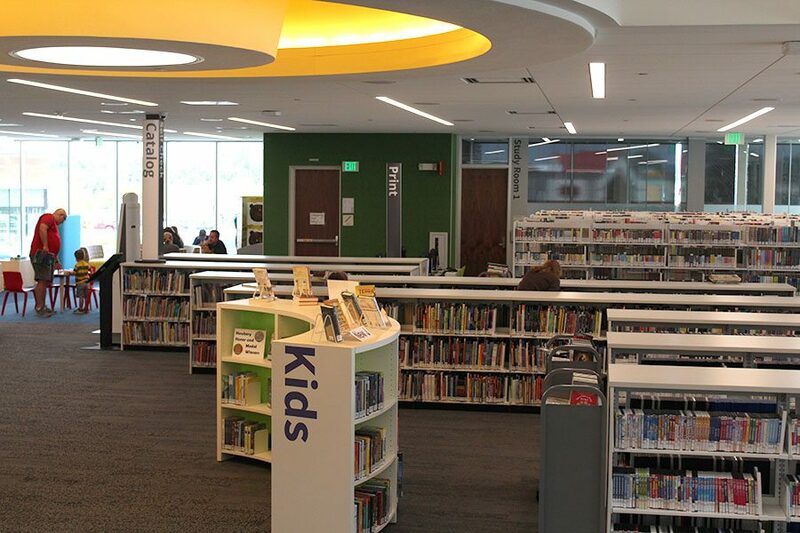 There’s more to the new Monticello Library than the many shelves of books, rows of Mac computers and friendly librarians. The library plans to offer several programs targeting teens that it hopes will generate even more public interest in the future. The library will start offering programs in September including storytime for children and families, a visit from Traci Sorell author of We are Grateful: Otsaliheliga and Table Top Game Night. These programs will run through December. Because the Monticello Library opened recently, it is waiting for six months to launch many of the programs so it can better understand what the public would find engaging, according to Worth. Possible future programs are reading to a dog, coding, Young Adult Advisory Council (YAAC), movie night and after school book groups. Sophomore Claire Burke is looking forward to the launch of these programs in January. Worth believes the programs the new library offers will also be a great way to bring the teens of the community together and specifically benefit the students of Mill Valley.